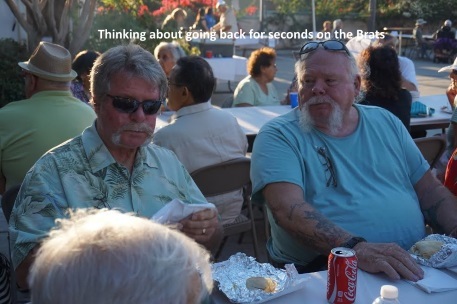 Here are a few more photographs to enjoy for the Imperial Beach South Bay Kiwanis 2015 SeptemberFest held September 12th at the Boys and Girls Club of South County on Encina Avenue! Pastor Doug Jones provided the other photos. 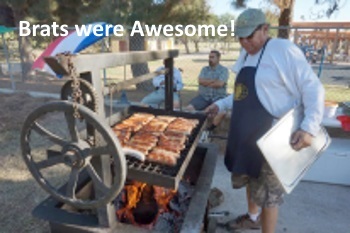 The Imperial Beach South Bay Kiwanis SeptemberFest drew Nice Crowd last Weekend and Raised Money to Help Children! This is their Major Fundraiser for the Year! and they had a DJ playing music and a silent auction and raffle drawings. Fire Department and a "Ride A Long" with the Sheriff's. Tina Blinsman and June Engel dress up like they were right out of Germany with there costumes. The Event, which went from 5pm to 10pm was crowed with people dancing to the DJ until it became time to close down. The Imperial Beach South Bay Kiwanis had a busy week and didn't miss a beet. On Wednesday night Gary Brown of the Imperial Beach South Bay Kiwanis was sworn in as Lt Governor for District 11 and on Thursday night Both Gary Brown and Pastor Doug Jones were honored at a ceremony at the St James Church as Gary's term as President the last year ended and Pastor Jones was sworn in as the new President. We have more pictures of the SeptemberFest if you are interested.